Catmint, Nepeta spp., is an easy-to-grow perennial that provides a wonderful show of flowers summer through fall. It is an excellent foraging plant for bees. Catmint grows well in full sun or light afternoon shade. The soil should be of average fertility and well drained. Plants tend to flop over in soil that is too fertile. Pinch plants back in early summer to encourage bushy, compact growth. Cut back after blooming to encourage a second flush of flowers in fall. The lower-growing catmints can be used to edge borders and pathways and can also be used in rock gardens. Taller selections make lovely additions to perennial beds. All catmints work well in herb gardens and with roses in cottage gardens. N. ‘Blue Beauty’ (‘Souvenir d’ André Chaudron’) forms an upright, spreading clump. It grows 18–36" tall and spreads about 18". The gray-green foliage is fragrant, and the large flowers are dark purple-blue. N. x faassenii forms a clump of upright, spreading stems. Spikes of blue or lavender flowers are produced in spring and summer and sometimes again in fall. Many cultivars and hybrids are available. ‘Walker’s Low’ is a particularly showy cultivar. N. ‘Six Hills Giant’ is a large, vigorous plant about 36" tall and about 24" in spread. It bears large, showy spikes of deep lavender blue flowers. 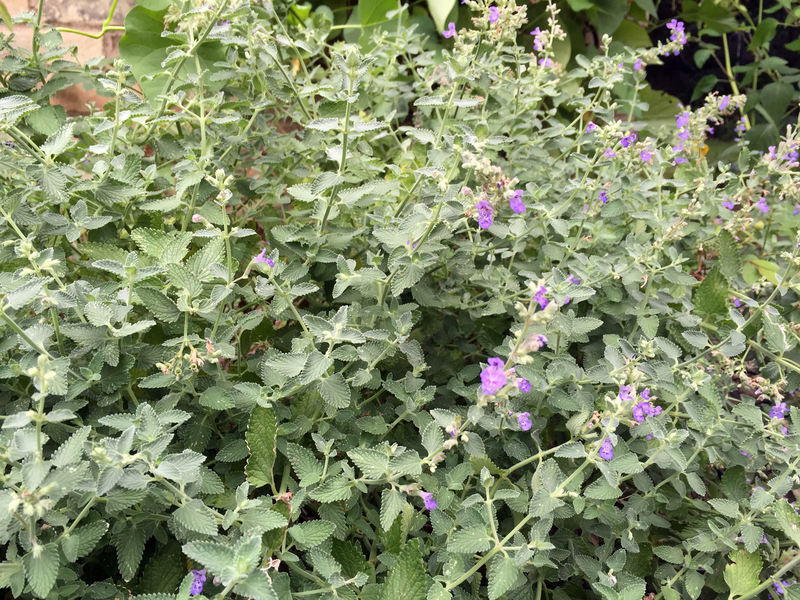 Sidebar: If you grow catmint, you may find that cats are drawn to your garden—this plant is related to catnip (N. cataria), which is well known for its attractiveness to cats.